From McDonald's to 7-Eleven, there are many business establishments that use franchising as their business model. Here are nine best franchise ideas worth considering. This story has been updated from May 24, 2014 to include Fitness Revolution. NEW YORK (TheStreet) - Franchising. Whether you know it or not, you see it everywhere. From McDonald's (MCD - Get Report) to 7-Eleven, there are many companies that use franchising as their business model. Franchise investing provides, in many cases, a proven model of business that first-time owners can rely upon. Besides a franchisee playbook, parent companies also offer ongoing support and assistance in the form of marketing, technical help and sourcing, for instance. That said, some of the best franchises aren't the most well-known or even the sexiest of concepts. But then again, investors should not be buying into a concept based on brand name or concept idea alone. It's about profitability, and in most cases, working at a job a franchisee has deep passion for that shows in the business they run. To decipher what some of the best franchises are, TheStreet worked with Franchise Business Review, a franchise market research company to come up with the list. The list below represents franchise names that scored the highest in Franchise Business Review's annual franchisee satisfaction survey that polled more than 400 companies. The survey represents the top 200 brands. FBR says that any franchise company with 10 or more operating franchisees is welcome to take the survey, which is free. Companies looking for operational performance typically purchase results specific to their brands. "The silver lining of the recession is that many franchisors are focused on operations and are really looking at how we can clean up our operations," says Eric Stites, CEO of Franchise Business Review. "Franchises have really done a good job refining their concepts, trying to bring down that initial investment, reducing requirements. If it's a retail location, more franchises are going to a smaller more efficient location. They really are looking at the unit economics and that goes hand and hand with the recession." Stites says greater transparency, thanks to both the recession and the age of digital data collecting, is also another growing trend. Potential investors should ask brands they are interested in if they have a third-party franchisee satisfaction report available for review. "If they don't have one ask them why," he noted. "That potentially means they're hiding something." There are lots of market research firms that looks to provide lists of the "best franchises," and while these lists are a good stepping stone for potential franchisees to use, it's ultimately up to investors to do their homework. Here are nine franchise brands worth considering. Description: Visiting Angels, established in 1991, provides in-home senior care, elder care, respite care, senior personal care, elderly care and companion services. 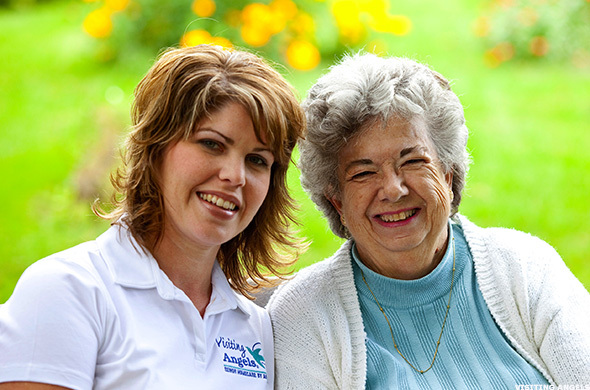 Visiting Angels was the first national non-medical senior homecare provider in North America to offer formal training and qualification program to their caregivers who care for individuals with Alzheimer's disease, dementia and related illnesses. Number of locations: 478 Visiting Angels private duty agencies in the U.S. There is opportunity for more than 250 additional franchises. Visiting Angels is looking to grow in secondary markets such as Iowa, Nebraska, Wyoming, Montana and other states. These secondary markets are an excellent opportunity with great need and less competition. Specific franchisee requirements: A true passion for this industry. Visiting Angels' successful franchise owners all care about caring for others and at some point in their life, have felt a calling to care for seniors due to a family or friend. Experts predict this mass aging trend will significantly affect economic and social dynamics for decades to come which will present major challenges for families and big opportunities for businesses in the senior care industry, such as in-home care. The demand for trained caregivers to help families care for their aging parents, many of whom have developed dementia, is at an all-time high. 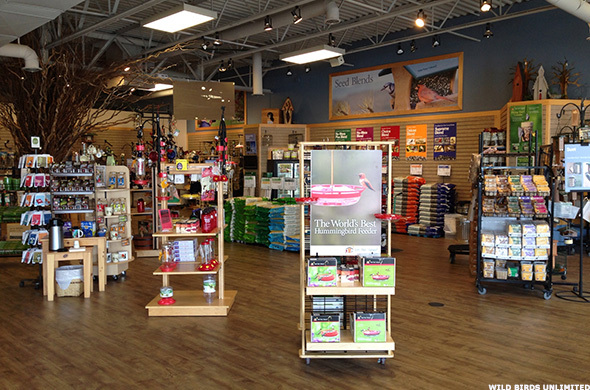 Description: Wild Birds Unlimited is the original and largest franchise system of backyard bird feeding and nature specialty stores. The company's mission is to bring people and nature together, and to do it with excellence with bird feeding and nature products, expert advice and educational events. The brand has dedicated itself to offering the best bird supplies including birdseed, bird feeders and hobby accessories. Wild Birds Unlimited is committed to connecting children with nature and inspiring the next generation of outdoor enthusiasts. Number of locations: More than 280 locations throughout the U.S. and Canada, with plans to sign 16 news franchise agreements in 2014. Specific franchisee requirements: The ideal Wild Birds Unlimited franchisee is someone who is a nature enthusiast with a passion for bird feeding. They are excited about building a business that they believe in and becoming the local source for backyard bird feeding products and knowledge. Franchisees must be committed to delivering exceptional customer service with an energetic friendly attitude while interacting with and helping others who share their interest in backyard bird feeding. They must also be dedicated to following the Wild Birds Unlimited "Best Practices," interested in owning their own business and working for themselves. Franchisees are trained with the best practices and ongoing training is available, including displaying and selling merchandise, marketing and public relations, creating financial reports, hiring and training employees, strategies on pricing inventory, and studying the local competition. They also receive marketing plans for a year and learn to navigate the company's intranet, where they can find resources for creating localized advertising pieces, templates for emails and postcards, and even sources for printing. Description: Cruise Planners, an American Express (AXP - Get Report) Travel Representative, the nation's largest home-based travel agent franchise network in the travel industry, has achieved top producer status with every major cruise line. Cruise Planners positions its franchise owners for success by providing them with innovative marketing, booking and lead-generating tools as well as professional development and hands-on training with the industry's top executives. Number of locations: Currently more than 900 active franchisees in 49 states. 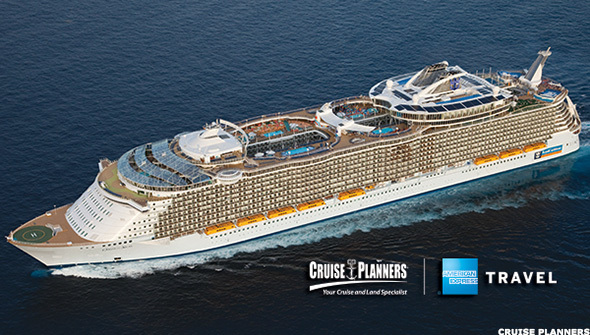 Cruise Planners franchise owners can sell travel nationwide. The company is growing nationwide each year by record numbers. For 2014 and 2015, Cruise Planners is focusing efforts to increase franchise presence on the West Coast as more cruise line itineraries are planned for the future. Start-up investment: Franchise fee is $9,995 plus investment of a home office set up. Total investment range is up to $15,000. The franchise fee includes airfare reimbursement up to $500 for transportation to Ft. Lauderdale, Fla. to attend Cruise Planners' intense six-day training event. Also included are hotel accommodations, most meals, software license and Errors & Omissions insurance for the first year. Specific franchisee requirements: Cruise Planners requires new franchisees have a passion for travel. Approximately 80% of Cruise Planners franchisees did not have experience in the industry, but they all do share that passion for worldwide destinations. Some of the top producing travel franchisees in the country include a former book keeper, hair stylist, attorney, ER nurse, computer salesperson, car mechanic and many other people coming from many other professions. Description: Fitness Revolution plans to lead the charge in the fitness industry's renewed focus on results-based service. 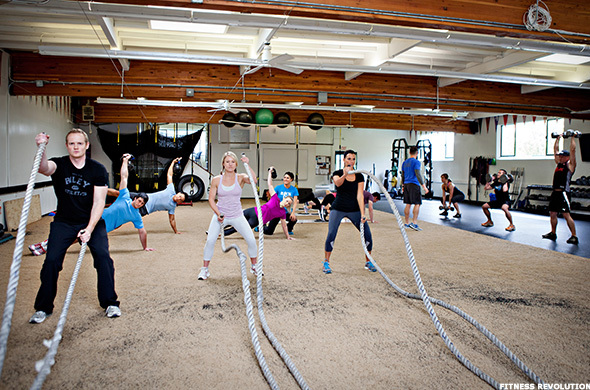 The system is designed around the delivery of group-based personal training programs. The model allows the business owner leverage while enhancing the quality of the customer experience, which has always been a major obstacle in the personal training industry. Franchisees can also offer the Athletic Revolution system, which is specific to the youth fitness and sports performance programs in the group setting. The two programs play complimentary roles to each other, and many franchisees opt to become dual franchisees and offer both systems. Number of locations: 187 franchises in 38 states; 59 are dual franchisees (offering the Fitness Revolution and Athletic Revolution programs). The company is awarding franchises only in the U.S. for the foreseeable future. It expects to add 25 more franchise by the end of 2014. Start-up investment: Between $12,501 and $115,964. The franchise fee varies for existing businesses wishing to convert and/or become a dual franchisee. Specific franchisee requirements: Franchisees should have an interest in the fitness industry, helping consumers meet their fitness needs, and want to join a system of franchisees who engage and support each other. Description: Weed Man USA, North America's No. 1 franchised lawn care provider, is a network of locally owned and operated lawn care businesses providing environmentally responsible fertilization, weed control and integrated pest management services. 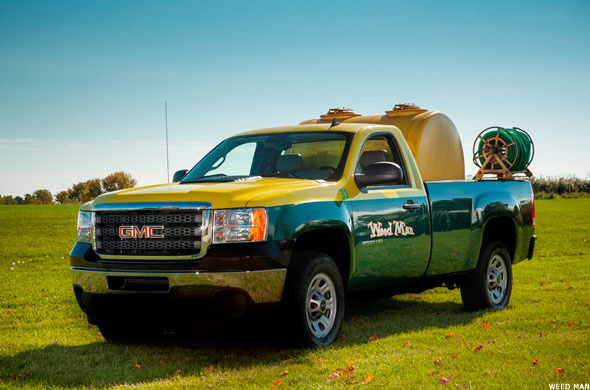 For more than 40 years, Weed Man's promise has always been the same: Weed Man treats every lawn as if it was their own and provides customers with honest and open communication. Weed Man entered the U.S. market in 1995 through a licensing agreement with Turf Holdings, Inc. Number of locations: 355 territories throughout the U.S. By the end of 2014, Weed Man USA plans to have a presence in more than 380 territories. Weed Man USA is looking at all regions within the United States and have just recently awarded their first two franchises in Florida. Dedicated to contributing ideas and building strong relationships with the franchisor. 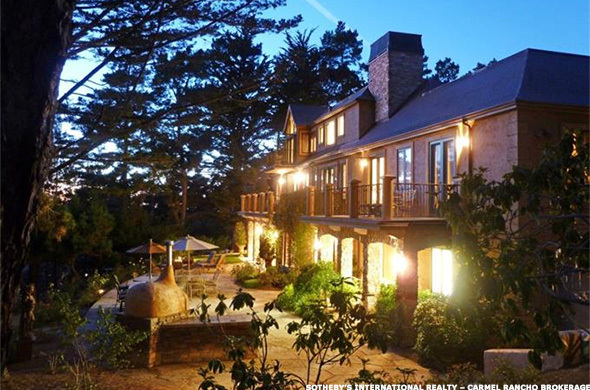 Description: Founded in 1976 to provide independent brokerages with a powerful marketing and referral program for luxury listings, the Sotheby's International Realty network was designed to connect the finest independent real estate companies to the most prestigious clientele in the world. Sotheby's International Realty Affiliates, is a subsidiary of Realogy Holdings Corp. RLGY, a global leader in real estate franchising and provider of real estate brokerage, relocation and settlement services. Sotheby's International Realty Affiliates LLC supports its affiliates with a host of operational, marketing, recruiting, educational and business development resources. Franchise affiliates also benefit from an association with the venerable Sotheby's auction house, established in 1744. Number of locations: The Sotheby's International Realty network currently has more than 15,000 independent sales associates located in approximately 700 offices in 54 countries and territories worldwide. Specific franchisee requirements: They must qualify to be considered. 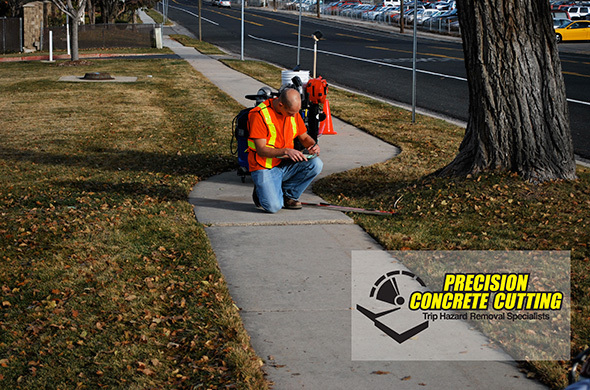 Description: Precision Concrete Cutting is a leader in uneven sidewalk repair and experts in sidewalk safety management. The Provo, Utah-based company makes sidewalks safe and compliant with the Americans with Disabilities Act by helping customers save money and avoid liability. Franchise owners become experts the Americans With Disabilities Act of 1990, in particular those areas around sidewalk accessibility. The company has worked for city governments in 48 of 50 states in the USA and all but two provinces in Canada; resulting in over 500,000 sidewalk panels in 2013. PCC surveys hundreds of miles of sidewalk every week and has developed the premier smartphone surveying technology providing customers the insight and knowledge they need to make informed and smart decisions. Number of locations: 42 in North America; with 25 territories still open. PCC is targeting Australia as its next growth area. Start-up investment: $130,000, which includes everything (training, initial marketing push, equipment, legal, franchise fee, etc.) except insurance for the business and initial employees' payroll. Specific franchisee requirements: No, industry experience required, some sales/marketing background is preferred. Description: Kona Ice, headquartered in Florence, Ky., reinvented the ice cream truck experience, turning it into a party on wheels. The brand's iconic truck, signature tiki hut top and calypso music offer a one-of-a-kind experience featuring the Flavorwave, an interactive dispensing system in which individuals select from more than 400 flavor combinations to pour onto their frozen ice. At the forefront of the brand's popularity is its steadfast pledge to local philanthropy. Since its inception in 2007, Kona Ice has given back nearly $20 million to the communities it serves. Fostering this devotion to fundraising are the partnerships Kona Ice cultivates with school groups, community-based organizations and local sports teams. Beyond fundraisers, popular spots for Kona Ice trucks to stop include birthday parties, corporate events and neighborhood socials. Trucks also maintain regular weekday and weekend routes. Number of locations: Kona Ice currently has 540 franchises in operation and 800 units on the road including trucks, minis, kiosks and trailers. The brand has sold 100 franchises since the beginning of 2014. Kona Ice is looking to sell an additional 150 franchises and 250 units before the end of the year. Key growth markets include select U.S. cities throughout the Northwest region. The brand is also especially interested in adding new franchise locations throughout California. 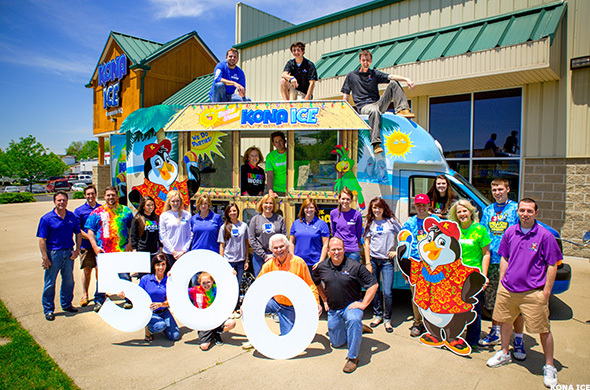 Each franchisee operates one Kona Ice business per territory consisting of 50,000 to 100,000 people based on zip codes. A franchisee can also purchase a kiosk and cart for indoor selling, however, they must purchase a truck first. Initial Kona Ice franchise investments are limited to a single unit, although a number of franchisees purchase more than one franchise once their businesses begin to flourish. Specific franchisee requirements: The most important quality Kona Ice looks for in a franchisee is community involvement. Kona Ice operators are deeply embedded into the communities they serve. Close to 90% of current owners cite the brand's dedication to community give-back as the number one reason they decided to join the Kona Ice family. Kona Ice's affordable, proven franchise concept offers low, fixed royalties, low overhead, low food costs, and, most importantly, an opportunity for investors to have a meaningful impact on their community. This is the right investment for people who are looking to break out of the 9 a.m. - 5 p.m. grind, and raise money for the people and organizations in their community. Kona Ice is all about having fun and escaping from the ordinary. Description: Founded in 1994 in Omaha, Nebraska, by Lori and Paul Hogan, Home Instead Senior Care provides personalized care, support and education to help enhance the lives of aging adults and their families. Local Home Instead Senior Care offices employ CAREGivers worldwide who provide basic support services that enable seniors to live safely and comfortably in their own homes for as long as possible. Home Instead owners partner with each client and his or her family members to help meet that individual's needs. 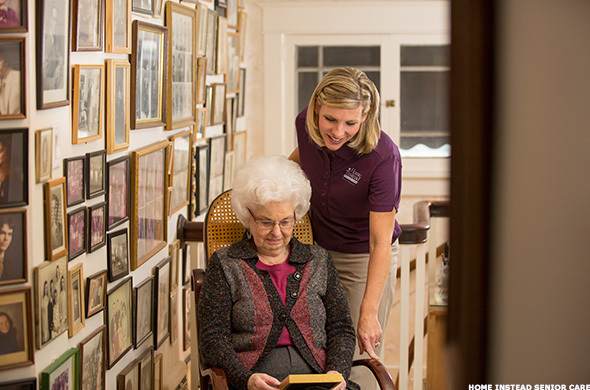 Services span the care continuum from providing companionship and personal care to specialized Alzheimer's care and hospice support. Also available are family caregiver education and support resources. At Home Instead Senior Care, it is relationship before task, while striving to provide superior quality service. Number of locations: The Home Instead franchise network consists of 1,015 franchises, which includes 609 U.S. franchises, 32 Canadian franchises and 374 international franchises. There are still many great franchise opportunities that exist in the U.S. and Canada as well as franchise and master franchise opportunities across the globe. Start-up investment: For those looking to begin a Home Instead franchise they'll need $45,000. We ask that franchise investors also have an additional $60,000 to $70,000 to cover start-up expenses and any working capital during their first year. Master franchises, for global opportunities, are priced differently.